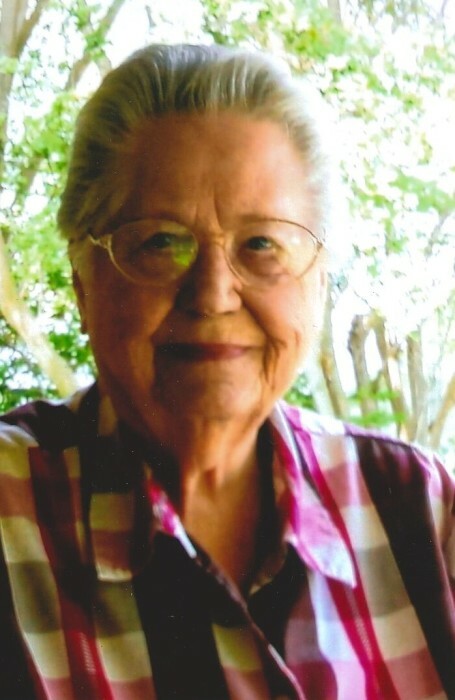 Helen Marie Hansen Lloyd- age 92 passed away Saturday, November 17, 2018 with her loving family by her side. Helen was born in Olympia, Washington October 5, 1926 the daughter of the late Ole Hansen and Caroline Johnson Hansen. Helen enjoyed cooking, gardening, and playing cards. Her true love was spending time with her family. Helen was a cook in her early years working at Madigan Army Hospital in Fort Lewis, Washington. While working at the Hospital she had the opportunity to feed the original “Lassie”. She was preceded in death by her parents, as well as her husband Robert Lee Lloyd Sr., sons Robert Lee "Bob" Lloyd Jr. and Rube Lloyd, and several brothers and sisters. She leaves behind to cherish her memory a daughter Dolly Dryden and husband William “Frosty” of Hardin, seven grandchildren: Jake Dryden; Shawn Dryden; Terry Hagerman; Robert Lloyd; Billie Jo Lloyd; Jenny Lloyd; and Joe Lloyd. She also leaves numerous great-grandchildren and great-great grandchildren. She will be sorely missed by all who knew and loved her. A graveside service for Helen will be held @ 3PM Tuesday, November 20, 2018 at Hardin Chapel Cemetery. Condolences and memories can be shared online at www.allisonfuneralservice.com.